The new exacqVision M-Series with camera power management (CPM) is the easiest IP video recorder to quote, install and service. This recorder adds to the existing LC-Series PoE recorder and includes exacqVision VMS software, server, and integrated PoE and PoE+ camera power ports. The M-Series PoE recorder comes with three years of unlimited software updates and hardware warranty. The updated Exacq license key generator allows exacqVision dealers to automatically license systems being monitored by exacqCloud any time. exacqVision dealers have exclusive access to exacqCloud, a real-time, web-based health monitoring service to generate more profitable recurring revenue, at no cost. Sign up now and create your first instance and attach your first server. Automatically pushes a 30-day temporary license key within 2 minutes. Upon purchase of quoted license, automatically pushes the permanent license key. New remote camera inspection service available in exacqCloud. 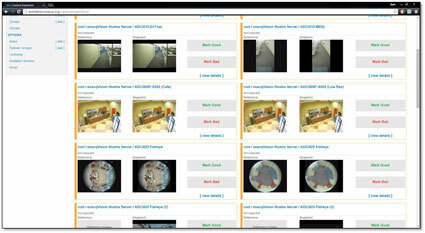 For a limited time, you can utilize the new remote camera inspection feature within exacqCloud at no cost! Sign up today! To implement this feature, refer to our Knowledge Base article or contact exacqcloud@tycoint.com to set up your web service. exacqCloud is exclusively available to exacqVision dealers. There is no cost to use exacqCloud; get started now. The exacqVision LC-Series IP and hybrid network video recorders now offer increased storage at the same price. 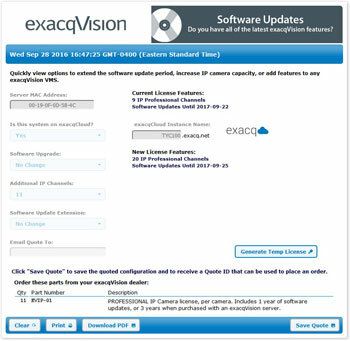 View the new part numbers and learn more about the exacqVision LC-Series NVRs. Since 1997, Ednetics has been providing technology solutions to the educational and public markets including video surveillance and IP-based access control. 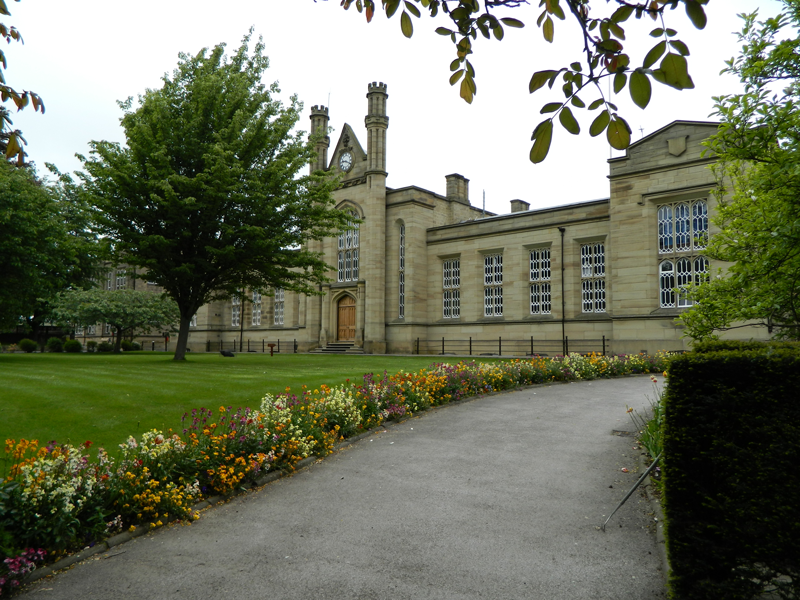 Ednetics, a video surveillance and IP-based access control dealer for education environments, needed a way to better manage their end user installations and improve their servicing and software updating. As an exacqVision Elite dealer, Ednetics had the opportunity to utilize exacqCloud to proactively service their customer’s video security system. 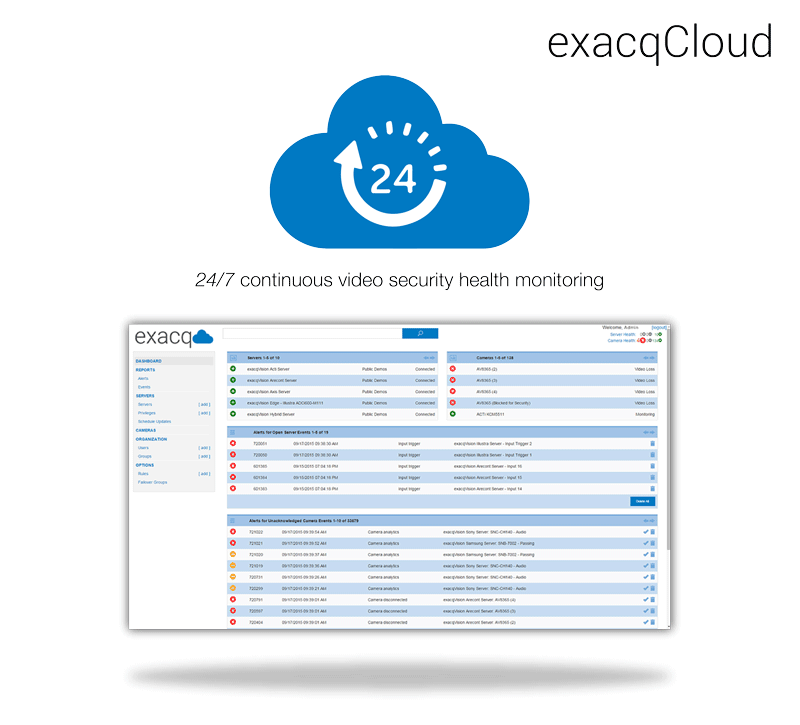 exacqCloud gives Ednetics a dashboard to manage and monitor exacqVision recorders for many of their end users. 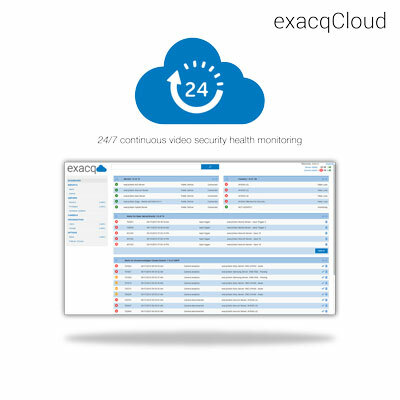 Today, Ednetics has more than 150 recorders and 9,000 cameras connected to their exacqCloud instance. Read more about how Ednetics utilizes exacqCloud to increase value and service contracts. Sign up for exacqCloud today. exacqCloud is exclusively available to exacqVision dealers. The real-time, web-based health monitoring service helps dealers generate recurring revenue through service contracts and SSA sales and streamline service calls. Sign up for exacqCloud now! If you are not currently an exacqVision dealer but are interested in becoming one, learn more about our dealer program and complete the online application to take the first step today. 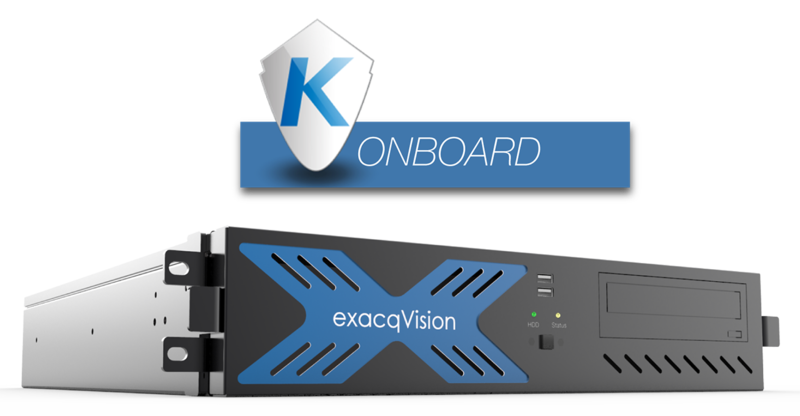 exacqVision now offers a new rackmount shelf for the exacqVision LC-Series recorders. The exacqVision LC-Series Una recorders further lower installation time with 8 or 16 remotely managed PoE+ camera ports and pre-licensed exacqVision VMS software. Simply order Part# 5000-20040. View in the product catalog. 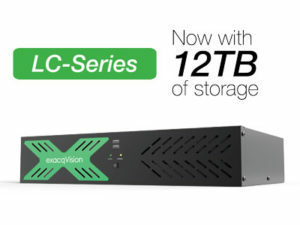 The exacqVision LC-Series IP and hybrid network video recorders now offers increased storage and updated chassis design. Learn more about the exacqVision LC-Series recorders. exacqVision ELP-Series, A-Series and Z-Series network video recorders (NVR) now include a larger, 120GB solid state drive(SSD) at no additional cost. This enables our video surveillance users to reliably store critical operating system and exacqVision files. exacqVision CSA testing qualifies third-party software will run properly on an exacqVIsion video server simultaneously with the exacqVision server software. Several third-party technology partners such as access control systems, video and retail analytics and point-of-sale (POS) systems have been tested and approved by Exacq for exacqVision CSA. 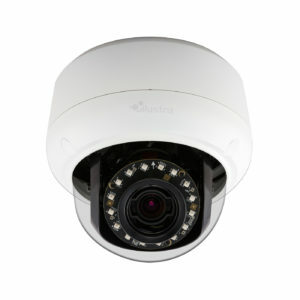 These applications can be installed and loaded on select exacqVision recorders. To learn more about our CSA option, read our What is an exacqVision CSA article. To see which third-party applications are CSA tested and approved, look for the CSA icon on our Partners pages next to the applications. Learn more about the exacqVision NVR product line. If you have any questions, contact your local sales representative or call 317-845-8710.